We don’t know about you, but honestly, we are freakin’ excited for this year’s Metro Manila Film Festival (MMFF) movie line-up. The entries for this year’s fest are a far cry from the usual ones we’ve seen in the past, making the event much more exciting than ever. And amidst the violent reactions from movie producers, artists, and even fans, looks like nothing can stop MMFF from making a much-needed change. And since it’s finally December 1—exactly 24 days to go before the fest starts, we’ve come up with this cheat sheet to help you decide which entries you should spend your Christmas bonus on (Or better yet, actually, just watch all!). 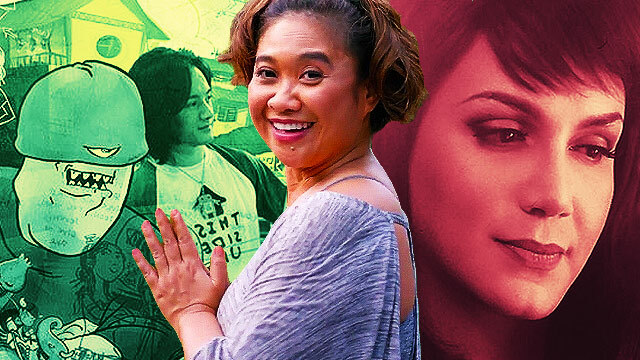 Eugene Domingo stars as herself in this sequel to the 2011 hit Ang Babae Sa Septic Tank. See the funny actress as she goes back to the crazy world of moviemaking through the film within the film, The Itinerary, alongside veteran actor Joel Torre. Witness the journey of Trisha (Paolo Ballesteros), a transgender woman who strives to make a mark in the world of beauty contests. And as part of her request before her death, Trisha's wish is to remain beautiful. Led by Superstar Nora Aunor, Kabisera is about a family dealin with people who are involved in extra-judicial killings. As the provincial government and the Department of Environment and Natural Resources (DENR) fight over the jurisdiction over small-scale mining operations, Kapitana (Irma Adlawan), Elmer (Joem Bascon), and Linda (Mercedes Cabral) suffer the devastating consequences of political conflict. Aspiring comic-book artist Marty (Enzo Marcos) is secretly in love with his beautiful best friend, Sally (Rhian Ramos), the gadget inventor. See their love story unfold, all while facing familiar hurdles, like Sally’s abusive monster parents, her ldick boyfriend, and Marty’s own torpe attitude. Set in 1947, Seklusyon is about a deacon who faces his last 7 days before priesthood—a time when the devil's attacks are at its strongest. A Filipina maid dreams of becoming Hong Kong's most beautiful queen, not for self-worth but to save lives, change the abusive system, and be happy inside out. The film is based on the viral Vince and Kath online series, written by Jenny Ruth Almocera. Watch these two teens, Vince (Joshua Garcia) and Kath (Julia Barretto), as their love story blossoms through text messaging.